CAET, one of the flagship products of Inspirees Education Group (IEG), is now an open access journal with the launching of the new website. The new format of CAET will enable us to disseminate knowledge more widely and effectively to readers and colleagues worldwide. As a result, our authors will get much bigger exposure with their articles. 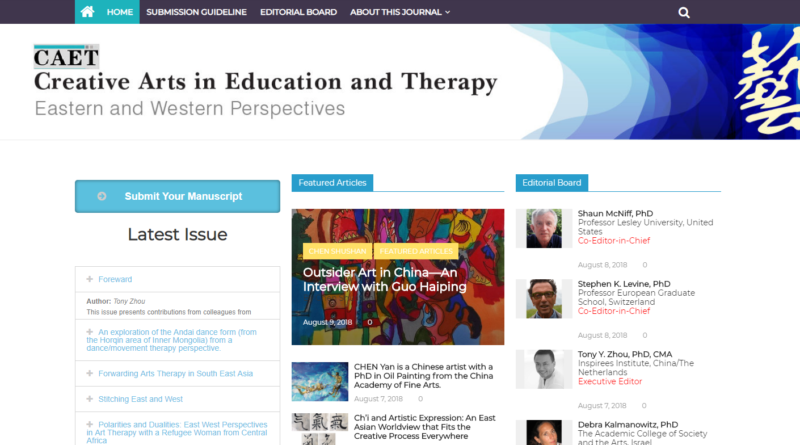 The full text of all the published articles will be availabe online. In addition, there are blog, news and events, featured videos offering other updates in the field and facilitating the creative arts education and therapy community worldwide. “This issue marks a milestone of CAET as it is becoming an open access journal from now on. Many people see open access as the future for the academic publishing. The new format of CAET will enable us to disseminate knowledge more widely and effectively to readers and colleagues worldwide. As a result, our authors will get much bigger exposure with their articles. To convert the journal into open access requires more determination, commitment as well as creativity from the executive editorial committee (EEC) including myself. At the same time, it opens many opportunities for us to explore in the future. I want to thank our EEC members for their constant and firm support during this process.